NEW YORK –February 3, 2014 – The 19th edition of Rendez-Vous with French Cinema, the Film Society of Lincoln Center and Unifrance Films’ celebrated annual showcase of the newest and best in contemporary French film, sweeps across screens at The Film Society of Lincoln Center, the IFC Center and BAMcinématek, March 6 – March 16. The 2014 slate — which consists of 24 feature films making their New York, United States or North American premieres — attests to the sheer variety and vitality of contemporary French filmmaking. 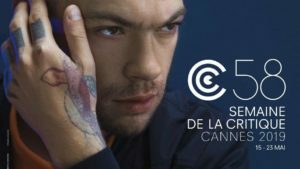 Filmmakers and talent who will be in attendance at this year’s festival include Sébastien Betbeder (2 AUTUMNS, 3 WINTERS), Serge Bozon (TIP TOP), Guillaume Brac (TONNERRE), Catherine Deneuve (ON MY WAY), Jacques Doillon (LOVE BATTLES), Michel Gondry (MOOD INDIGO), François Ozon (YOUNG AND BEAUTIFUL), Thierry de Peretti (LES APACHES), Katell Quillévéré (SUZANNE), Axelle Ropert (MISS AND THE DOCTORS), Jean-Paul Salomé (PLAYING DEAD), Bertrand Tavernier (THE FRENCH MINISTER), Justine Triet (THE AGE OF PANIC), Nabil Ben Yadir (THE MARCHERS) and Rebecca Zlotowski (GRAND CENTRAL). UniFrance films would like to thank Lacoste, LVT, TV5 Monde, Le Point-Rendez-vous en France and Atout France for their support. For the Film Society of Lincoln Center, Patrons and Members have an advance on-sale date of February 7. IFC Center Members may purchase tickets to IFC Center screenings starting February 7. BAM Cinema Club members may purchase tickets to BAMcinématek screenings beginning February 7. General Public Tickets for the 2014 Rendez-Vous series at all three locations will go on sale February 14. Tickets are available online for each participating venue at www.filmlinc.com, www.ifccenter.com and www.BAM.org/BAMcinematek respectively, as well as directly from the box offices. For more information, please visit www.rendezvouswithfrenchcinema.com. 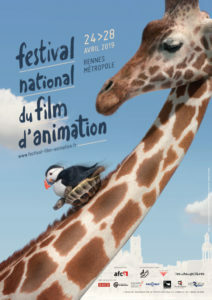 Tickets for Opening Night at the Paris Theater will be available online at www.filmlinc.com. FSLC’s Walter Reade Theater’s address is 165 West 65th St. (between Amsterdam Avenue and Broadway) and the Elinor Bunin Munroe Film Center’s address is 144 West 65th Street (between Amsterdam and Broadway). The IFC Center is located at 323 Sixth Ave. at West 3rd Street. BAMcinématek is located at 30 Lafayette Avenue, Brooklyn. The Paris Theater is located at 4 West 58th Street. Valeria Bruni Tedeschi’s semi-autobiographical third feature — her first film since the acclaimed Actresses (2007) — is as restless as the character she plays in it. The actress-director-screenwriter (she co-wrote the film with Noémie Lvovsky and Agnès de Sacy) crafts a sad, whimsical and tender portrait of a family whose glory days are over, and who must confront some ugly facts about their present reality: financial troubles, a younger brother dying of AIDS, a sprawling estate they can no longer maintain. Louise (Bruni Tedeschi) herself is approaching her mid 40s, and wants desperately to have a child and find enduring love. This boldly self-revealing, possibly cathartic work draws both directly and obliquely from Bruni Tedeschi’s real life: Louis Garrel, her former partner, plays Nathan, her young French lover; Nathan’s father in the film is a renowned filmmaker who directs his son, as does Garrel’s father, Philippe; and Valeria’s own mother, pianist Marisa Borini, simply plays herself. Marisa Borini is nominated for Best Supporting Actress at the 2014 César Awards. A nuclear power plant serves as the setting for a forbidden romance as volatile as the facility itself in the intense, brilliantly acted second feature from Rebecca Zlotowski (Belle Epine). Gary (A Prophet‘s Tahar Rahim) is a poor, unskilled laborer looking for easy money and a place to fit in. Karole (Léa Seydoux) is the fiancée of longtime plant employee Toni (Denis Ménochet), one of the many underpaid men and women who daily brave illness and possible death from radiation poisoning. Soon Gary and Karole fall rapturously in love, and their moonlit trysts in the bucolic surrounding countryside pose a growing threat to the staff’s tight-knit bonds. Zlotowski focuses both on the everyday routines of the workers and on the swooning passions of the love triangle at the film’s heart, with electronica pulsating on the soundtrack as her characters gamble ever more perilously in work and love. Olivier Gourmet is nominated for Best Supporting Actor at the 2014 César Awards. At a secondary school in Paris’s 10th arrondissement there is a “reception class,” where students between the ages of 11 and 15 are taught their first lessons in French. Some of these immigrant children, newly arrived, know a few phrases in the language of their adopted country; others can’t speak a word. Their families have come from all across the globe, from Ireland, Senegal, Morocco, Brazil, and China, fleeing persecution or just looking for a fresh start. Shot over a year, this observational documentary by Julie Bertuccelli (Since Otar Left,The Tree) is a kind of non-fiction counterpart to Laurent Cantet’s Palme d’Or-winning The Class, staying within the confines of the school and recording the children’s candid, sometimes heated discussions and interactions between parents and teachers. The result is both illuminating and extremely touching, a multifaceted look at the French melting pot, its frustrations and its hopes for the future. A coming-of-age story takes on epic proportions in Katell Quillévéré’s follow-up to her lauded debut, Love Like Poison. Suzanne (first played by Apollonia Luisetti and then by Sara Forestier) is a wild child who becomes a mother at 15 and takes up with a local bad boy not long after. Through it all, her widowed father (comic actor François Damiens, in a rare dramatic role) and older sister (Fanie Zanini and Adèle Haenel) try their best to keep the family together. Brilliantly acted, especially by Forestier, Damiens and Haenel, Quillévéré’s film, which compresses some 25 years into an hour and a half, proceeds at a furious pace, episodically and elliptically. What sounds melodramatic on paper is never less than urgent and compelling on screen: each decisive moment in this family saga lands with tremendous emotional force. Nominated for five 2014 César Awards: Sara Forestier (Best Actress), Adele Haenel (Best Supporting Actress), François Damiens (Best Supporting Actor), Paul Hamy (Most Promising Actor), and Katell Quillévéré and Mariette Désert (Best Original Screenplay). Struggling musician Maxime (Vincent Macaigne) moves back to the titular provincial town (which means thunder in French) to live with his father and work on some new songs. But soon he meets Mélodie (Solène Rigot), a beautiful journalist more than a decade his junior. As their fling progresses to full-on enthrallment in a matter of days, all Maxime’s interests become secondary to spending time with Mélodie. Just as suddenly as their relationship began, she texts him a farewell and cuts off all contact. The quaint pleasures and understated tone of the early scenes slowly morph into something resembling a thriller, and as Maxime’s longing transforms into obsession, a palpable dread sets in. Director Guillaume Brac previously collaborated with Macaigne on the acclaimed medium-length film A World Without Women(2011). Tonnerre, Brac’s feature-length debut, is darker and more troubling, a complex and engrossing character study with a brilliantly modulated performance by Macaigne at its center. Twenty-four-year-old Laura (Agathe Bonitzer) has faith that someday her Prince Charming will suddenly appear. But when such a man does turn up, so does another one — charming in a different way, but equally alluring. In a flash, all of Laura’s assumptions about life and the future become fairy dust. Under the Rainbow is a contemporary fairy tale with more than its share of twists, imbued with the sharp existentialist humor we have come to expect from the duo of Agnès Jaoui and Jean-Pierre Bacri (The Taste of Others, Look at Me). Both once again collaborate on the script and co-star as Pierre and Marian, a comically neurotic middle-aged pair [they aren’t a romantic couple in the film] who, despite being a generation older than Laura, face a similar predicament: how to lead their lives in relation to their sometimes wild dreams and expectations. “No one’s serious at 17,” wrote Arthur Rimbaud. For Isabelle (Géraldine Pailhas), the 17-year-old at the center of François Ozon’s Young & Beautiful, this sentiment may justify the choices she makes over the course of a pivotal year. Divided into four seasons, Isabelle’s foray into prostitution is motivated not by a need for money or control, but rather by an overwhelming desire for self-discovery. Ozon observes her journey without judgment, reflecting on the emotions and insecurities that saturate a young person’s entrance into adulthood. One year removed from In the House (Rendez-Vous ’13), Ozon again proves a master at coaxing strong performances from young actors; Marine Vacth, in her first leading role, is a revelation. Nominated for two 2014 César Awards: Géraldine Pailhas (Best Supporting Actress) and Marine Vacth (Most Promising Actress). A Sundance Selects release. Founded in 1969 to celebrate American and international cinema, the Film Society of Lincoln Center works to recognize established and emerging filmmakers, support important new work, and to enhance the awareness, accessibility and understanding of the moving image. Film Society produces the renowned New York Film Festival, a curated selection of the year’s most significant new film work, and presents or collaborates on other annual New York City festivals including Dance on Camera, Film Comment Selects, Human Rights Watch Film Festival, LatinBeat, New Directors/New Films, NewFest, New York African Film Festival, New York Asian Film Festival, New York Jewish Film Festival, Open Roads: New Italian Cinema and Rendez-vous With French Cinema. In addition to publishing the award-winning Film Comment Magazine, Film Society recognizes an artist’s unique achievement in film with the prestigious « Chaplin Award. » The Film Society’s state-of-the-art Walter Reade Theater and the Elinor Bunin Munroe Film Center, located at Lincoln Center, provide a home for year round programs and the New York City film community. The Film Society receives generous, year-round support from Royal Bank of Canada, Jaeger-LeCoultre, American Airlines, The New York Times, Stonehenge Partners, Stella Artois, the Kobal Collection, Trump International Hotel and Tower, the National Endowment for the Arts, and the New York State Council on the Arts. For more information, visit www.filmlinc.com and follow @filmlinc on Twitter.